Source: FeneTech Europe SARL, PRESS GLASS S.A.
Press Glass has recently selected software specialist FeneTech as their new long-term software partner. Poland based PRESS GLASS SA has recently selected software specialist FeneTech, creator of FeneVision ERP software, as their new long-term software partner. 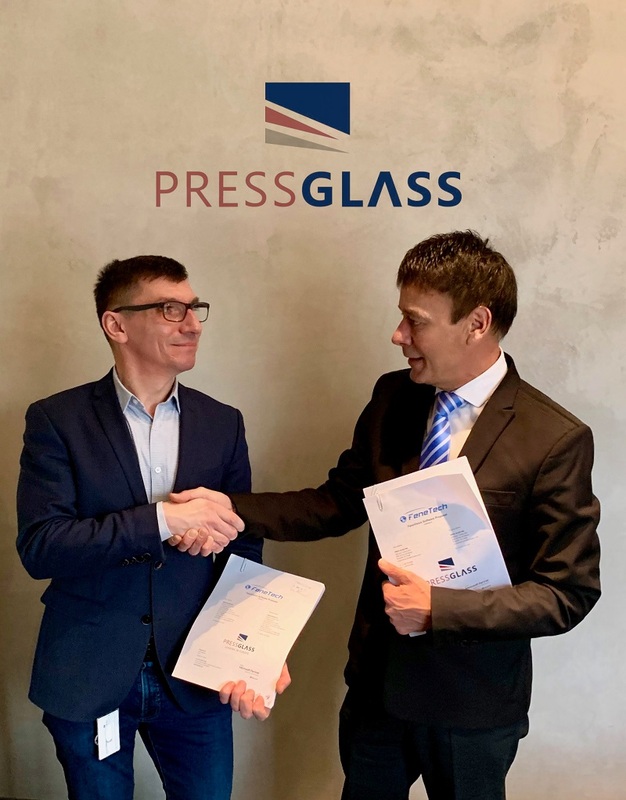 The new partnership will start with the implementation of FeneVision ERP in the commercial glass plants in Poland, followed by the installation of the software in the new plant of Press Glass Inc., based in North Carolina, USA. After successful implementation in these plants the cooperation will go further by introducing FeneVision ERP in all of Press Glass’s plants, including the UK. PRESS GLASS SA, from the date of its creation, has been driven by a clear vision: “Building a modern, dynamic and globally active company that contributes to the development, and strengthens the competitiveness of its business partners by meeting their individual expectations.” This vision has driven PRESS GLASS to their current market position described as globally active and Europe’s largest independent flat glass processing operation. At this time, the company manufactures in 13 factories in Europe and North America. The facilities are located in the UK, Poland, Croatia and in the United States. On the global market the company offers its products under the PRESS GLASS brand, in the United Kingdom’s residential market under the GLASS SYSTEMS brand. For nearly 25 years FeneTech, Inc. and FeneTech Europe SARL has been offering FeneVision ERP software solutions to the fenestration industry—this includes glass processing, window and door manufacturing, sunroom manufacturing, and related industries. In addition to the actual software and their regular new releases, FeneTech offers unparalleled service and support to its large customer base across the globe. FeneTech is an international leader in integrated software solutions for the fenestration industry. Headquartered in Cleveland, Ohio and Luxembourg, the company offers its products and services worldwide. FeneTech Europe SARL, PRESS GLASS S.A.